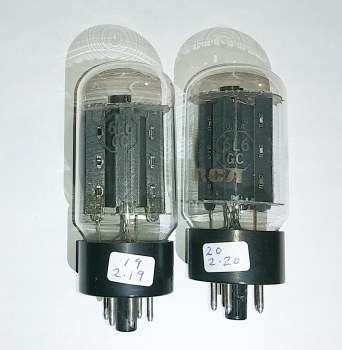 We received a few pieces of RCA Black Plate NOS 6L6GC. We are going through them currently to see how many matched pairs we have. Please make an inquiry. CALL TO ORDER, STOCK IS VERY LIMITED.